This is an old Chinese proverb that really talks about the concept of experiential learning. Experimental learning has been a concept over the last few decades that has built up in business, management and education, but really has the basis in a coach approach, knowing that in order to learn something, you must be involved to fully understand it. This past week we had some great Coaching 101 classes and a focus from one class looked at different learning styles. We looked at working with groups as well as working one-on-one with clients. As coaches, we do have a lot of different personalities that we work with and it’s really important to understand different learning styles. Learning is more than academic. Have you ever been to a high school reunion? If you have, you may have noticed the people who went on to achieve success in their lives were often, not the highest scholastic achievers. In fact, history books are full of examples of high achievers who were poor in school and hated the experience of learning, including Thomas Edison, Rockefeller, Agatha Christie and Winston Churchill, just to name a few. This is because schools are traditionally working on the assumption that people all learn in the same way and those who can’t fit into that pattern have no option but frustration and failure, regardless of their skills and ability. There is no one way of learning. We all learn very differently. So, we will discover four different learning styles very briefly in our time together today. Activists like to be involved in new experiences. They are open-minded and enthusiastic about new ideas. They get bored with implementation. They enjoy doing things and tend to act first and consider the implications afterwards. They like working with others, but tend to hog the limelight. Reflectors like to stand back and look at the situation from different perspectives. They like to collect data and think about it carefully before coming to any conclusion. They enjoy observing others and they listen to their views before offering their own opinion. Theorists adapt and integrate observations into a complex and logical sounding theories. They think problems through in a step-by-step way. They tend to be perfectionists who like to fit things into a rational scheme and they tend to detach and analyze rather than be subjective or look at it from an emotional thinking standpoint. Pragmatists are keen to try things out. They want concepts that they can apply to their job, They tend to be impatient with lengthy discussions and are practical and down-to-earth. 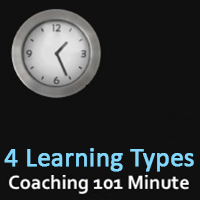 When you’re listening to these four different personality types or four different learning types, how do you learn? What is your learning type? Maybe you heard bits and pieces of people that are in your life or maybe you’re working with a group right now, of individuals. Think about it as you’re going in and preparing, whether you’re preparing a facilitation or a lecture or a group exercise that will speak of four of these different learning types: the pragmatist, the theorist, the reflector, and the activist. 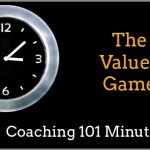 How do coaches charge their clients? What is the average amount of time a coach can work for a client? How do I create my own tools to work with my coaching clients? If you haven’t done so already, I really encourage you to attend an upcoming Coaching 101 next week. There are spots still available and we have time options across the entire calendar to fit anyone’s needs across the world.